China stocks dropped sharply Monday after Beijing stepped up efforts to rein in the property market ahead of the central government's annual parliament meetings. The Shanghai Composite lost 3.7% on the day, while Hong Kong's Hang Seng finished off 1.5%. Property developers were especially hard hit, with Shenzhen-listed China Vanke falling the maximum 10%. Poly Real Estate, a large developer listed in Shanghai, also fell 10%. 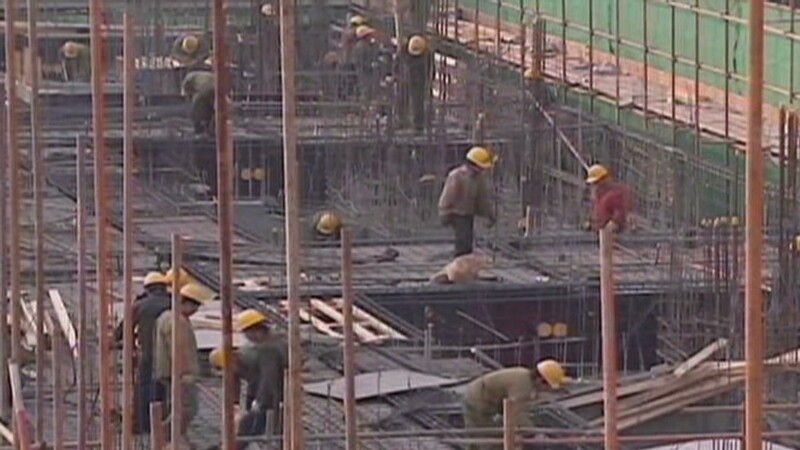 Hong Kong's China Overseas Land and Investment declined 7%. The Shanghai Stock Exchange Property Index, a broader measure of property developer performance, was down 9.3%. The new cooling measures include an elevated income tax on homeowners who profit from the sale of a property. Higher interest rates and down payments will be demanded for the purchase of a second home in cities with rapidly rising real estate prices. The central government also promised penalties for local governments that do not curb prices, saying that officials "will be held accountable" in the event of failure. The directives were issued just before the start of the National People's Congress, an event that could reveal clues about future economic policy actions. China has gradually eased property ownership restrictions in recent decades, and its citizens responded by pouring money into housing. Fearing a bubble, Beijing launched an intervention in recent years that has cooled prices and provided a measure of stability. But there are now signs that rising prices might be back. The National Statistics Bureau reported that prices jumped in 54 of the 70 cities tracked by the government in January. Mark Williams, an economist at Capital Economics, said in a research note that now is not the time to loosen property controls. "Despite the policy-induced slowdown in activity, Chinese property remains on a wildly unsustainable path," Williams wrote. "Developers actually completed just short of 11 million properties last year." Those 11 million properties should be enough to meet demand -- even with millions of Chinese expected to migrate from rural areas to cities in the next few years. "Even in the sector's most difficult year on record , developers still managed to complete more than enough properties to meet the year's increase in underlying demand," Williams said.